Fun post! 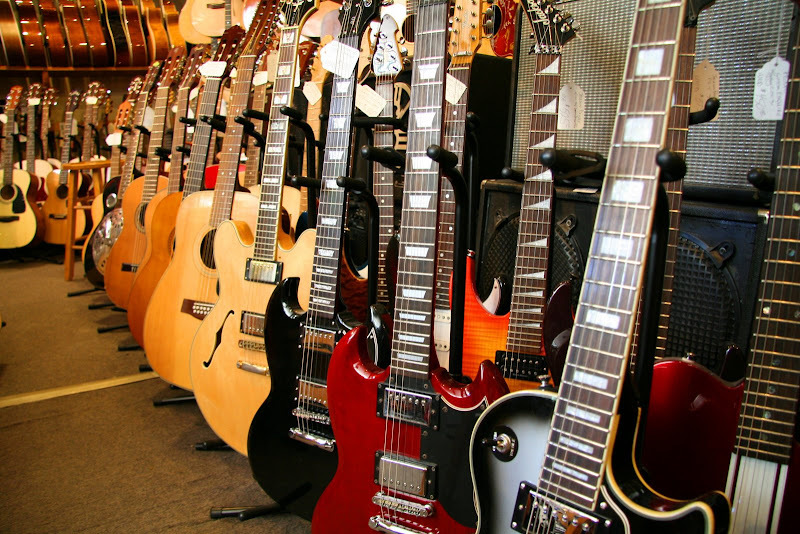 Great clips with "Anything Goes," & that guitar store pic is some serious eye candy! Oh dear, all those guitars in one place! Excuse me while I wipe the drool off my keyboard. And Les Paul is The Man! Best guitar ever made, and the man himself is no slouch on that thing. Ever heard the two albums he did with Chet Atkins? Or his work with Jeff Beck? Amazing! Always love a Cole Porter song! oy oy oy so many great links, so little time! I'll be back for the concerts but thought Cole Porter being born in Peru Indiana was a hoot. Les Paul? Deep, deep bow. Niiiice! The "Anything Goes" vid, well put to-gether. And had a server glitch, but finally got the Frankie vid to load :)Great tribute to two wonderful talents, kimy. You really rock! Such a great song and I loved the video. I had a great time identifying my favorite stars and how many of those movies I've actually seen. Great fun. Came here from our friend Adam's blog. Very interesting photo. So much to look at. I love Les Paul. He rocks!! i'm a Hammond B3 organ girl (my adopted father--who is a master), but these pieces just make me want to rock the hec out and get it on...! i'm thinking chuck berry...axle rose... EH? Great montage of old movie greats and Frank's great voice. Super!